Shirley Busby Service Details - East Liverpool, Ohio | Dawson Funeral Home, Inc.
"Rest easy, Mama Busby. You are all in my thoughts and prayers. 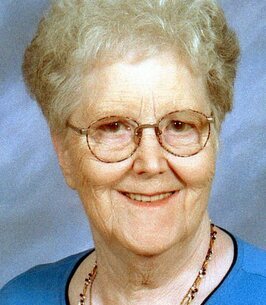 Your mom/grandma was one of the most caring and giving people I've been..."
East Liverpool, Ohio - Shirley N. Elkins Busby, of East Liverpool, was called home to be with the Lord Wednesday, October 24th, 2018 at the Calcutta Health Care Center. She was 85. Born in Midland, a daughter of the late Thomas and Nina Weiford Dover. A member of Grace Presbyterian Church, she was active in the Women’s Association. She was a member of the Rebeccas, the Daughters of America, and the Ladies Auxiliary of the Disabled American Veterans. A mother to all, Shirley never met a stranger and friends were considered family. She will be fondly remembered by her four children: Carletta Moore and her husband, James, of Calcutta, Dianna Hazelet and her husband, Ed, of East Liverpool, Georgetta Russell and her husband, Keith, of East Liverpool, and Thomas E. “Tommy” Busby and his companion, Melissa Sarge, of East Liverpool. Left to cherish her memory is her 12 grandchildren and 15 great-grandchildren. In addition to her parents, she was preceded in death by a brother, Cyril Poe Dover and a great-grandson, Devon Foster. Friends may visit Friday afternoon and evening at the Dawson Funeral Home where the family will be present from 2 to 8 p.m. A funeral service will be conducted Saturday at 10:00 a.m. at the funeral home. Burial will be at Oak Grove Cemetery. 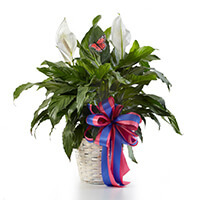 To send flowers to the family of Shirley N. Busby (Dover), please visit our Heartfelt Sympathies Store. My deepest sympathy and condolences to my friend Dan Gallagher and Family during your time of loss and grief. I'll be keeping you and yours in my thoughts and prayers. Miss you muches Grandma...We love you so very much. I will be sure to take care of our girl Terry. Rest easy, Mama Busby. You are all in my thoughts and prayers. Your mom/grandma was one of the most caring and giving people I've been blessed to know. May your cherished memories comfort you. Shirley was a Beautiful person. May you cherish the precious memories of your time together and it bring you comfort. Prayers for the family.